10 of the Best Product Marketing Books — Stratomic. While there are many definitions of what product marketing’s role is within a typical organization, most agree that product marketing usually owns messaging and positioning. I’ve read many books on marketing, product marketing, product management and sales. Below is a list of the best marketing books I’ve read. They have made the greatest impact on my own career. 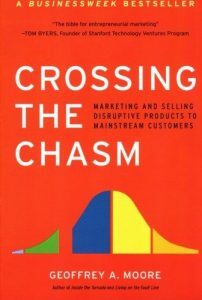 Crossing The Chasm was originally published in 1991 and is now in its third edition. 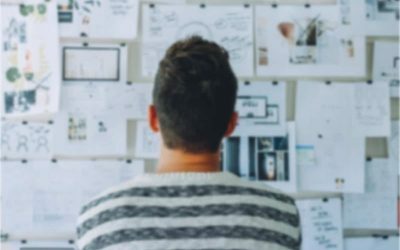 Geoffrey Moore managed to create a new game plan for marketers to segment their prospective audience by their buying habits, while laying out a roadmap for attracting the different buyer psychologies at each stage of the technology adoption curve. Moore’s book hits on one of the key themes that many marketers still struggle with today: being everything to everyone. This is one of my favourite Product Marketing books of all time. Published in 2003, The Four Steps To The Epiphany is one of the most practical business books of all time. 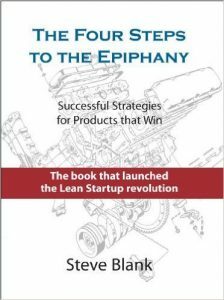 Steve Blank was heavily involved in the early days of the Lean Startup movement. The Four Steps To The Epiphany was one of the pioneering texts in this new way of doing business. Blank focuses on a four-step customer development process and offers insight into what makes businesses successful. Rather than blindly executing a plan, The Epiphany stresses the importance of rapid iteration, customer feedback, and testing assumptions. This will help to uncover flaws in product and business plans before they’re too costly to fix. 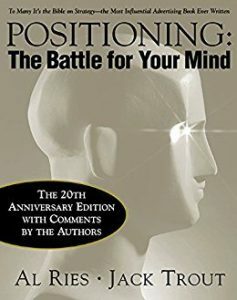 Al Ries and Jack Trout’s 1981 book, Positioning: The Battle For Your Mind, was one of the first books to tackle the challenges of communicating with a skeptical, media-blitzed audience. It focuses on creating a position in the consumers’ mind that aligns with your own company’s (or product’s) strengths and weaknesses. The strategy also plays against your competitors’ strengths and weaknesses. The 20th Anniversary edition, published in 2001, refreshes some of Ries and Trout’s thinking, but the principles haven’t really changed. They still believe positioning your product in your prospective customers’ minds is key to success in business. Aaron Ross and Jason Lemkin lay out proven templates for accelerating revenue growth to meet ambitious targets. Product marketers need to provide much of the fuel for growth, including nailing product-market fit, establishing a niche and powering through plateaus. 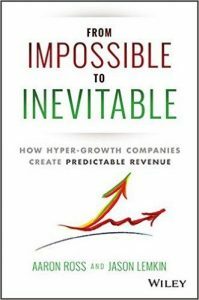 From Impossible To Inevitable also goes into the process of making the sales organization scalable. This is an important factor that will have a direct impact on your role in sales enablement. It also goes into detail in how to reposition to increase your company’s average deal sizes – it’s very difficult to grow a business quickly without increasing your deal size. A curious choice on a list of the best marketing books, but Dale Carnegie’s 1937 classic lays out the concept of influencing people. This is more important than ever in the digital world where the customer is empowered. 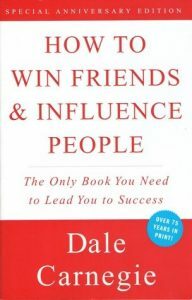 How To Win Friends And Influence People explains how to make people warm to you, to come round to your way of thinking and how to change people without causing offense or resentment. This book is all about learning to build lasting relationships. With social media at the heart of any modern marketing strategy, building deep, meaningful relationships is paramount. Depth is more important than width, as deep relationships lead to word of mouth. With Product Marketing playing a key role in getting products off the shelves, pricing is going to come into play in a big way. 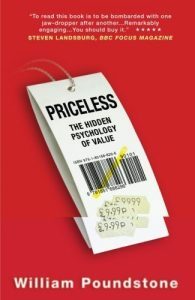 In Priceless: The Hidden Psychology Of Value, William Poundstone explores the psychology and perception of value. The book explains how behavioural decision theory has changed the way businesses think about pricing their products. This is an important subject which can determine the success or failure of your business. He also discusses some proven tricks that you can use to increase sales. It will also serve as an excellent tool for anyone who buys, sells or negotiates deals or partnerships. William “Skip” Miller is a pioneer in the art of selling to empowered buyers. Miller explains why all customers are different, and why successful sales professionals tailor their methods to each buyer’s context. 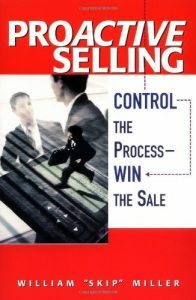 Proactive Selling: Control The Process, Win The Sale details the art of modern selling. As a product marketer, it’s important to understand what will drive success in your company’s sales organisation. Product marketers also need to understand the full lifecycle. Right from market opportunity and product development, through to marketing and selling your product to buyers. Proactive Selling will help to ensure you’re equipping your sales team with the tools they need to be successful. Although this book is firmly in the sales category, it is well worth its place on my list of the best marketing books. For many, sales is an art and not a science, but HubSpot Chief Revenue Officer Mark Roeberge created a process that enabled HubSpot to grow from three employees with no customers to 15,000 customers and a billion dollar IPO in just 8 years. Key to HubSpot’s success was its data at every stage of the sales process, which he uncovers in The Sales Acceleration Formula. 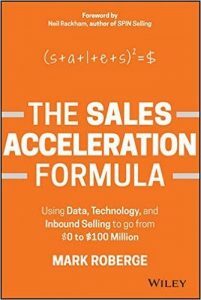 Product marketing professionals need to understand what is going to help the sales team move the needle, and there are few books better than Roeberge’s Sales Acceleration Formula at explaining this. At some point, one of the key roles of a product marketer is building or refining value propositions. 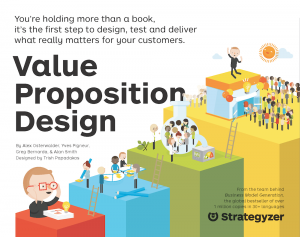 Value Proposition Design is a practical guide to developing products and services that your customers want to buy – and ultimately love. 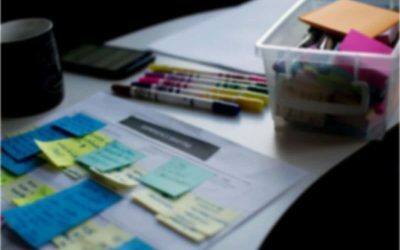 Paired with its online companion, the Strategyzer Canvas, Alexander Osterwalder has created an easy concept that focuses the process of developing and marketing products entirely on the target customer. It will guide you in the process of developing value propositions that resonate while avoiding common pitfalls along the way. It’s a great, albeit very practical book. A warning: be ready to start evaluating your customers and pulling apart your current value proposition in the process. 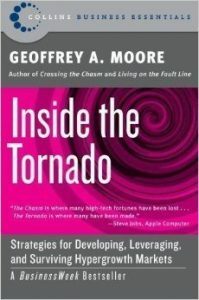 Geoffrey Moore’s second book in this list is Inside The Tornado. Moore asserts that once you’ve crossed the chasm, you’re faced by a tornado. This is the time of uncertainty in its early stages of adoption where mainstream consumers determine whether the product takes off or falls flat. In the book, Moore focuses on the marketing techniques you can deploy to reach and engage mainstream customers. It also details how to take advantage of the tornado and reap the benefits of mainstream adoption. It’s a great companion to Crossing The Chasm. Have I missed a great marketing book? Let me know if there’s a book that you think should be added to this list of the best marketing books. 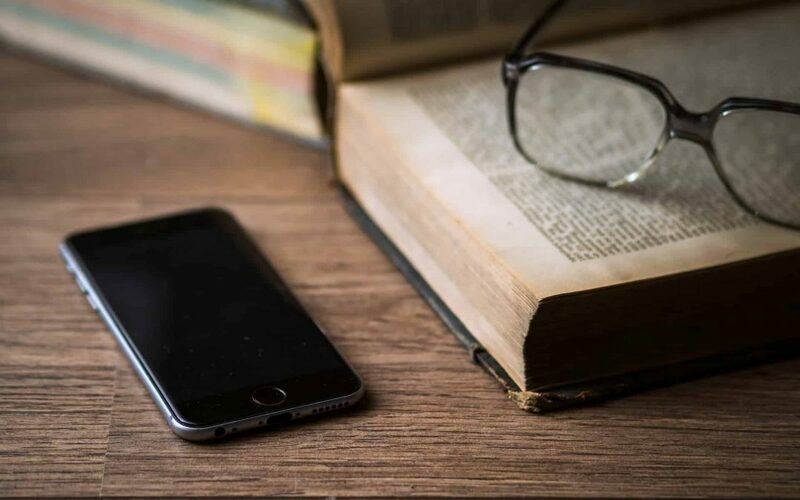 I particularly want to hear from you if your book recommendation will help budding product marketers develop into better practitioners. If you found this article useful, please pass it onto someone else who will find it valuable.